The definitive Christmas flower! Its masses of blooms will last long into the New Year. 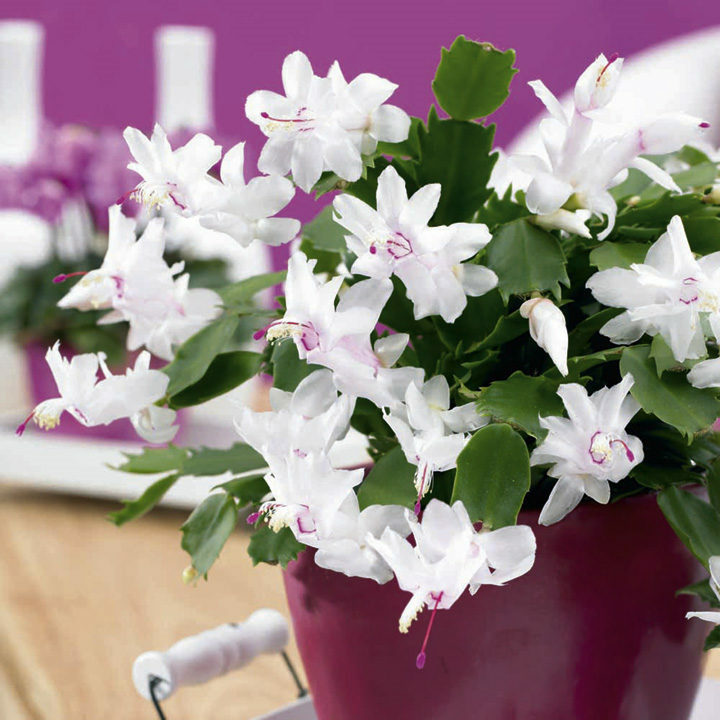 White Christmas Cactus - Delicate white blooms, sometimes flushed pale pink. Pot size 13cm. Complete with decorative snow-white Elho pot (not pictured).